Sometimes you make a mistake in getting a tattoo when you’re younger. Matt made one and got a very un-geeky tattoo of “some stupid tribal” crap. 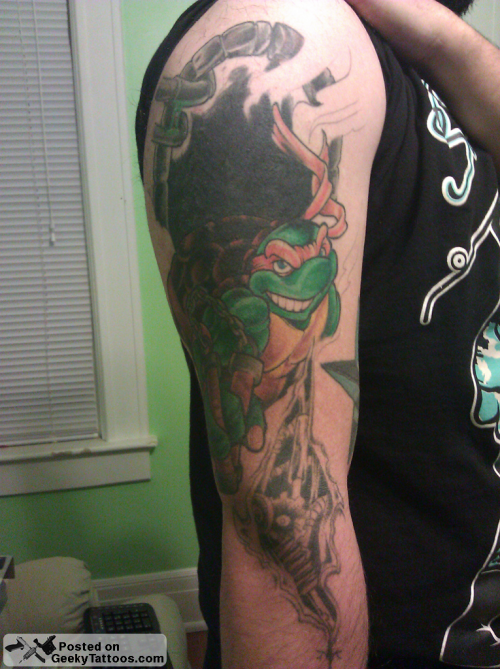 Luckily he realized the error of his ink and redeemed his geek cred with a cover-up that showcased his favorite Turtle as a kid, Michelangelo. 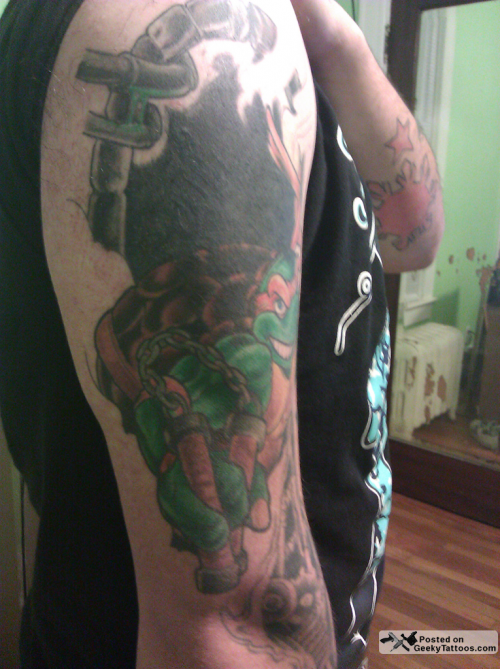 Tagged with arm, cover-up, Teenage Mutant Ninja Turtles. I love this! Truly awesome!